The museum on the mall in Washington, D.C. Photos Courtesy of the Yurok Tribe. Gathering to discuss art and heritage. For visitors to the National Museum of the American Indian, the sheer number of objects on view is nothing short of remarkable. Around every corner of the museum, you can find intricately woven clothing items, expertly blown glass, or magnificently carved tools for hunting and fishing. There is always another item that you missed on a previous visit – a connection to Native culture that is awe-inspiring and thought-provoking. When the NMAI was established in 1989 with the passage of the National Museum of the American Indian Act (NMAI Act), it included the first U.S. repatriation legislation that provided for the return of Native American human remains and certain cultural items in the collections. Since the museum's inception, one of the highest priorities has been the return of Native American human remains and their associated funerary items back to their communities of origin. 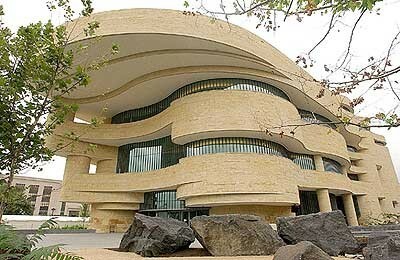 Repatriation at the NMAI is a uniquely proactive and collaborative process. Recognizing the special responsibility to support and enhance the development, maintenance, and perpetuation of Native culture and community, the NMAI’s repatriation mission emphasizes partnership with Native communities. This is accomplished through direct consultation, collaboration, and cooperation with contemporary Native peoples throughout the hemisphere who are represented within the museum’s diverse ethnographic and archaeological collections. Whether human remains are returned for reburial or an object is used in ceremony again, repatriation is an emotional and occasion for both Museum staff and tribal members because it ensures that ancestors and ceremonial items have returned home, where they belong. 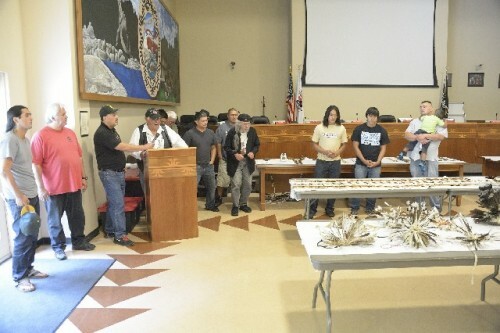 Recently, we worked closely with Yurok tribal representatives in northern California to return 125 sacred objects home where they are now being danced in their Brush Dance ceremonies this summer. They have joined objects from a repatriation in 2010 that are used in Yurok White Deerskin Dance and Jump Dance World Renewal ceremonies. Some of these ceremonial regalia items included feathered dance wands, headdresses, head rolls, and plumes. 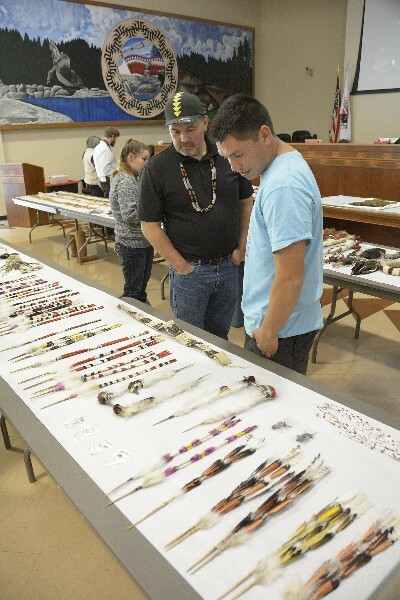 According to Yurok tribal members, these pieces are imbued with ancestral spirits, and it is important and meaningful to see these items return home to fulfill their intended purpose in Yurok traditional ceremonies. I’m proud to be a part of this important work at the Museum, and thank you for all you have done to help make it possible.